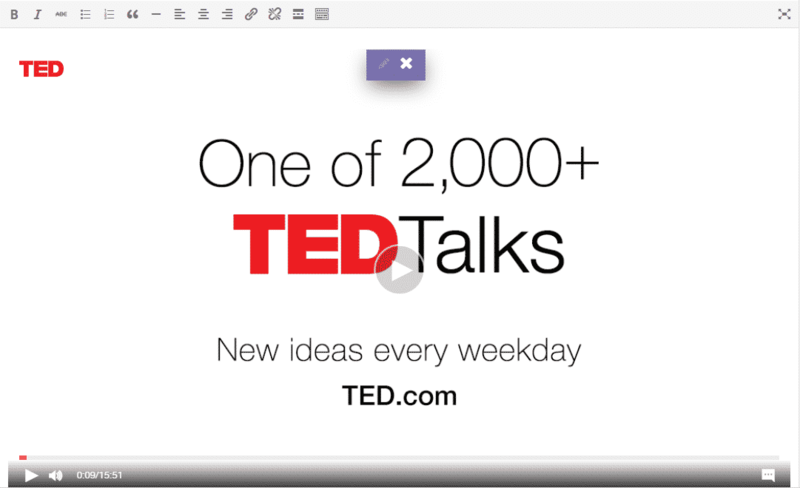 With the help of EmbedPress, you can add TED video to WordPress, using just a URL. TED is a global set of conferences where people from all walks of life come, give talks to spread new innovative ideas that can change the world.TED.com was launched in 2007 with aim to build an house of free knowledge with the help of world’s most innovative and motivational speakers from various fields like technology, health, arts and entertainment etc. You can embed TED video in WordPress, but it is not simple to embed by using standard methods. EmbedPress plugin is distinct and user friendly. With EmbedPress, you don’t need to entangle around with embed codes. All you need is the URL of presentation that you have published on TED video. 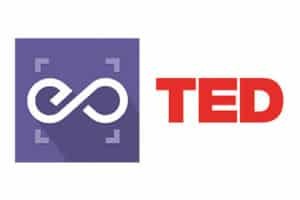 Here’s how to embed any TED video into your WordPress site, using the EmbedPress plugin and a URL. EmbedPress is a very helpful plugin that expands and improves capabilities of WordPress. Install EmbedPress in your WordPress site and it will become far more powerful and efficient. Click here to find EmbedPress on WordPress.org. Before you can embed presentation into WordPress, you need to get URL of the presentation. 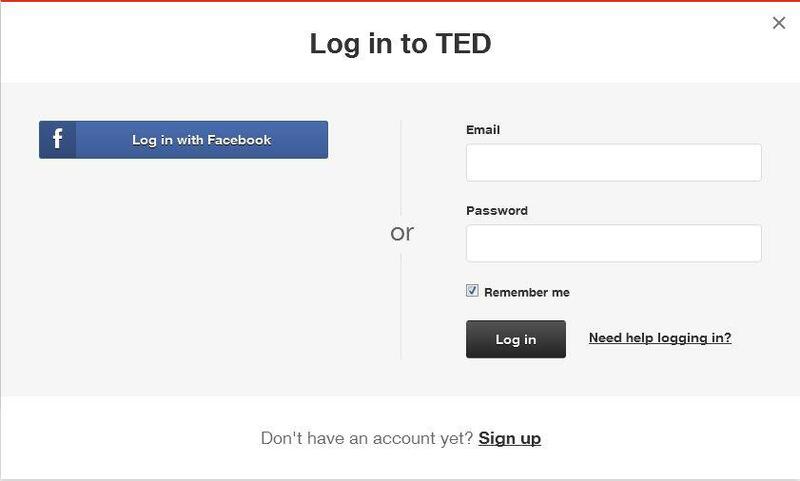 Sign In with your TED account. Choose TED video you want to embed. Copy the URL of the video from the address bar of the web browser. 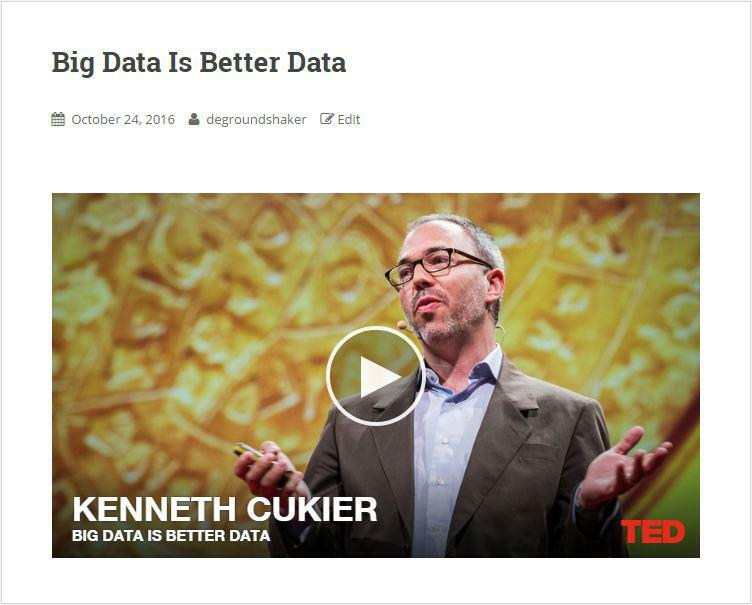 Now you have URL of the TED Video, you can add it to WordPress. Add the URL into the content area, with the “Visual” tab enabled. The URL will be automatically converted into an embed of your YouTube Video. Your Embed will be very responsive. While modifying your WordPress content, you can also edit your embed, thanks to EmbedPress. 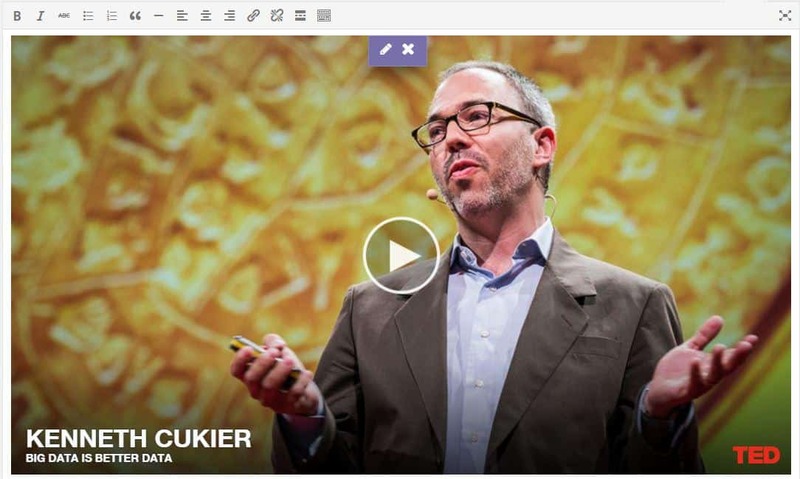 Hover over the TED video embed and a purple button will come up. Click the pencil icon and a pop-up screen will appear with more options. 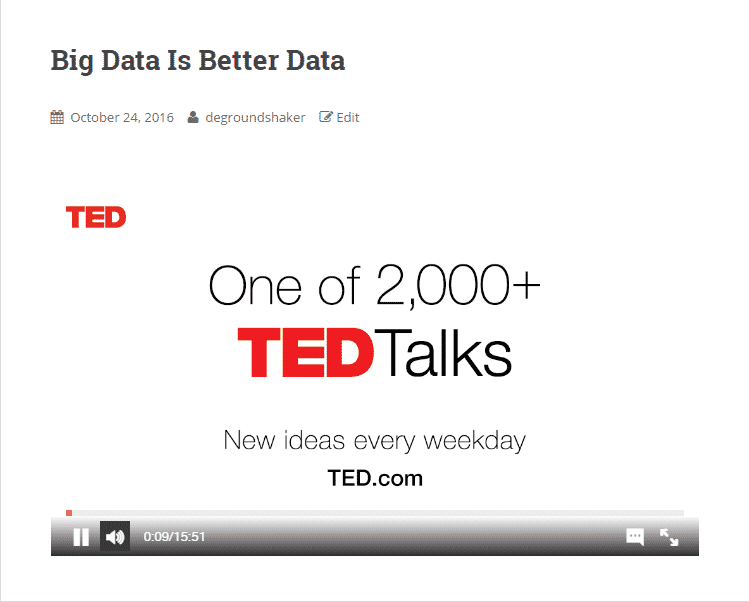 You can now change the TED video embed URL, in addition to that you can also edit the width and height of the embed.